Man Behind Lens: Memory... Canon EOS D2000 in the Rain! Memory... Canon EOS D2000 in the Rain! 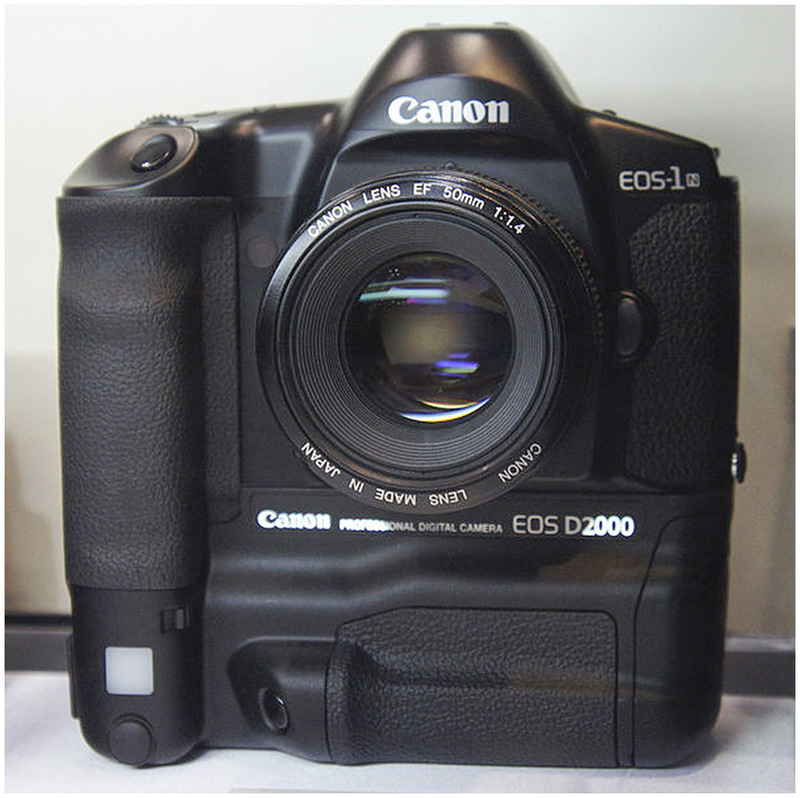 The Canon EOS D2000 (a Canon branded Kodak DCS 520) is a 2-megapixel digital single-lens reflex camera developed by Kodak on a Canon EOS-1N body. It was released in March 1998. It features a CCD sensor and can shoot at 3.5 frames per second. Surprised? Yes, that was how much the camera cost in 1999!! 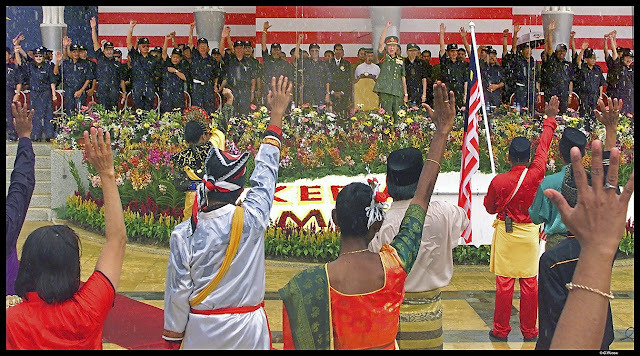 Every August 31 is the national day of Malaysia (Merdeka Day), in commemorating the independence of the Federation of Malaya from British colonial rule. It is a big day for all local newspaper, scores of photographers are dispatch before day break to cover the early morning celebration. There are Merdeka Day pictures and there are Merdeka Day pictures... every year the Malaysian Paparazzi, oops... press photographers, came up with the same old boring pictures! I was working as the Picture Editor of The Star in Malaysia, I have dispatched six photographers to cover the yearly event. My brief to them... Come on, boys and girls.... lets see something different or may be, even dramatic or patriotic pictures this year to grace your front page! It was year 2000, The Star was the only paper with TWO units of 2 MP professional DSLR, the Canon D2000 and a Kodak DCS 520. As you know, they were both the same camera with different decals. Y2K Merdeka Day Shot With Canon D2K! The parade was almost over, then it started to pour down, cats and dogs! All the photographers went helter-skelter. I don't think the D2000 is weather sealed either!! As I leaped off the photographers platform with the other press photographers, my Canon D2000 digital camera with a Canon 17-35L zoom lens slipped out of my Domke bag and went bouncing on the wooden platform ten feet above, onto the very drenched ground! I muttered some curses and picked up the totally drenched camera, not knowing if it was still working or not! Twenty feet in front of me, I saw the picture I wanted, I ran forward firing the D2000 at the same time and captured this picture of a multi racial Malaysian group showing legion to The King. It was a case of "shooting on the run".... ha ha ha. Click on picture to see the full glory of this shot! The picture ran broadsheet across the back to front of the tabloid size of The Star. I wish you guy can see it in the fresh, it look great! Oh.... thanks to the rain, all the police and FRUs also disappeared; try taking this shot when it is sunny and dry, bet they will man handle you out of the field! Hmmm.... actually I was, the next year; tell you about it one day! I remember fondly the good (bad) old days of films when I was forced to tell my photographers that they are only allowed to shoot TWO 36 exposures rolls each for the celebration! If possible, as if! Why? Can you imagine when we dispatched about 10 photogs to cover the function, if there are no control; each of them will come back with 5 rolls. Do you know how long it take to process 50 rolls of colour films? Go figure! I will be selecting and editing till the cow come home! By the way, that wet front page blow-up was shot with a TWO mega pixel camera and still look great even though enlarged to more than A2 size. So stop having a hang up about mega mega pixels, go out and shoot some pictures!! "Rain, rain, go away,come again another day.Little CY wants to play"
Ha ha..I love it!A potential disaster turns into an opportunity! There is truth in that ubiquitous saying"you have to think outside the square".. or in your case. "on the hoof".ha ha.Your photo proves that imagination,observation and perseverance are indispensable for a good shot(not to mention a good pair of gumboots!! )Well done. These days photographers come back with 800 photos ...."